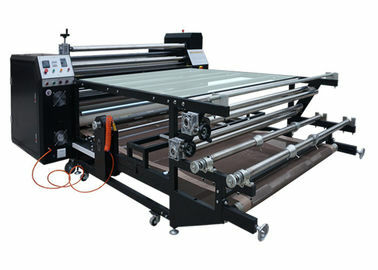 • Roll to roll & Cut Piece working system. • All the paper entry and exit units is working. • From double sides emergency stop buttons. • Adjustable tension control of Protection paper. • Adjustable tension control of Sublimation paper. • The speed of the machine from 2mtrs/min up to 8mtrs/min. 1) It guarantees reduction of production costs, while increasing productivity, as well as multiple working systems. 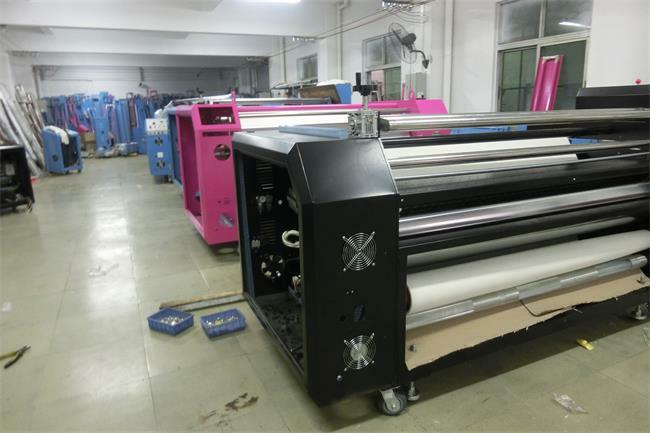 2) Designed to per platen thermal sublimation print transfers on a continuous basis. 3) Digital speed controller that allows you to better control your production. the work materials from becoming burned. anti-friction,anti seize. Better than teflon coating drum. 7) Heighten Oil tank, sealed oil drum, which ensure 100% uniformity of temperature. 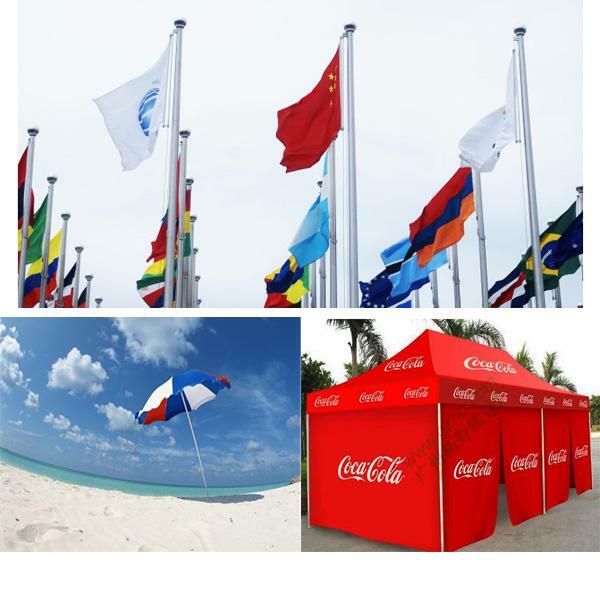 ♦ Are you a manufacturer or trade agent? 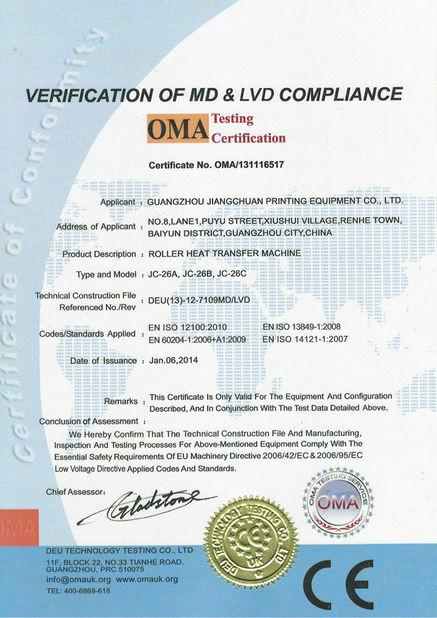 We are direct manufacturer since 2001 and accept OEM,ODM. Seeing is believing. Warmly Welcome to visit our factory. 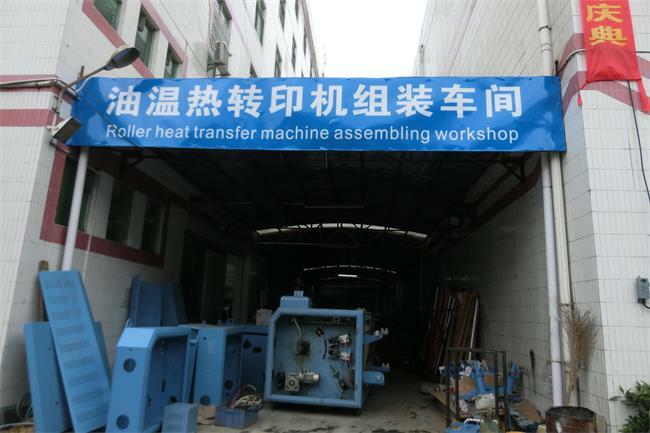 ♦ Do you inspect roller heat transfer machine? 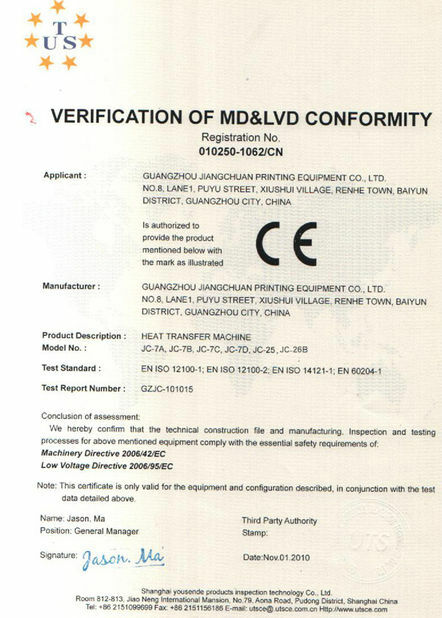 Yes, every roller heat transfer machines will be inspect by QC department before shipping. ♦ What kinds of materials need premier before transferring? ♦ Where can I get the inks and paper? competitive price and reliable quality can be offered to you. One Stop service offered. Warmly welcome to be our distributor! More than 30 sets of roller heat transfer machines selling overseas and gain many satisfied customers world-wide, patented solutions and an extensive experience acquired in numerous fields of application: this, in short, is what the companyoffers to all its customers the world over, be they multinational corporations or small enterprises. Though customer just pay once for purchasing equipment and perfect service, use and maintain always keep accompanying from beginning to end. All function can be understood and used easily without any professional knowledge at all. The preventive maintenance during warranty. Our professional engineers will remote assistance for confirming problems, go a step further to offer door-to-door service.